With near record attendance, POG is alive and well at WBC. Keith Schoose and Andrew Cummins peer out of their trenches. The Mighty Finn takes down Steve Koleszar. Dave Dockter beats Tom Drueding in a semi-final of former champs. 50 enlisted for the 2009 PoG-A-Thon - only two shy of the attendance record set in 2000: quite a turnout for a wargame now in its second decade. Players logged 944 player hours over 59 games, covering four days. The finalists, as always, had to play six 8-hour back-to-back rounds in their quest for the gold; hence, the PoG-A-Thon nickname for the annual grueling, but a load of fun, Paths of Glory tournament. Part of the big news in 2009 was that a "modified historical campaign scenario" was used for the first time - despite some initial squawking from the PoG old timers. A number of changes to Ted Raicer's historical scenario were instituted including shifting four victory spaces, making it somewhat easier to play the Tsar Takes Command and providing further incentives for the Central Powers to hold real estate in the West. The effect of these changes was to impact play significantly. The Yanks showed up in a number of games (in contrast to their usual absence) and most games witnessed a real Western Front meat grinder (in contrast to the usual "Defend-the-Rhine" strategy). Feedback from PoGer's was very positive (based upon a survey of participants), with many shouts of "This is what we need to be playing in future tournies" being heard. After 52 games in the three preliminary rounds, we arrived with five 3-0s, one 2-0-1 and two "roll-off" spots. In what has become an annual PoG tradition, we had six prospective giant killers "roll-off" to make the quarter finals. This year, after the usual hootin and hollerin at 9 AM Tuesday morning, Jeromy Martin and Keith Schoose were the lucky winners. The budding PoGer Tom Gregorio with a 2-0-1 and undefeated Gurneau, Mecay, Drueding, Herr Dr and the Finnish Dragon, Riku filled out the field. In the quarter finals, sadly, no giants were slain (in a break with past tradition). Thus, for the semis we had four previous champs with unblemished records to do battle. Both of the semi-final games went down to the final dice roll on Turn 20. Stefan Mecay's CP, using his traditional Defend the Rhine strategy, defeaed Riku's AP. In the other semi, David Dockter's CP, utilizing a "Go west, and if that fails, try the Russians", defeated Tom Drueding's AP. In the Final, Herr Dockter won the bidding die roll and opened with "CP". Mecay, somewhat stunned, decided to give up his beloved Central Powers (and his Defend the Rhine strategy) and play the AP. During the early turns, Dockter was able to setup the West and Italy, while managing to get the Tsar Takes Command off and beat the AP to total war by two turns. On Turn 8, Mecay finally brought the Italians in, sending three French and three British armies to Italy to prevent a complete collapse. On Turn 10, with such a diversion of allied might to Italy, Dockter began an unrelenting hammer in the west. The CP was able to get both to CT and Amiens. However, CP had forgotten about trenching technology and was able to only hit one of its first 11 trench trys (even using the modified trench attempt rule). One Turn 14, it appeared that the CP would be able to enter the cafe's of Paris, however a lack of trenches set the stage for an aggressive AP counterattack. Furthermore, the CP left a small, but critical hole, in the eastern front. Mecay jumped and was able to push a flipped russian corps through the gap, demanding that the CP play "ops" and miss replacements for the turn. Without replacements, the CP began to collapse on Turns 15 and 16. The kaiser failed a morale check and a concession was granted, giving Mecay his second PoG gold ring and adding to his 2009 PoG PBeM title. As an interesting aside, Mecay's victory over his fellow Nest of Spies teammate, Herr Dr., cost the Nest their fourth team championship of the decade. The last important "wood" note regarding PoG tourney results was that Peter Gurneau became the newest "sand man", with his roll off for sixth place. The thrill of victory ... Stefan Mecay stops Riku Riekkinen in the semi-finals, thus preventing the rematch with Dockter for the title. And the agaony of defeat. Mecay tops teammate Dave Dockter in the Final - thus again knocking the Nest of Spies out of Team contention. We had only 12 entrants to the tourney this year. Most conspicuous of the absentees were Herr DR and Pete "Rain Man" Reese. We had the usual format of no draws and the AP winning ties, so players were cautioned to bid accordingly. Again, as usual, the mean bid was just over 2 to play the AP with one player bidding 4 to keep them from Drueding! As it turned out to no avail as Tom worked his way through the ladder to meet up with, who else, Chris Byrd in the Final. 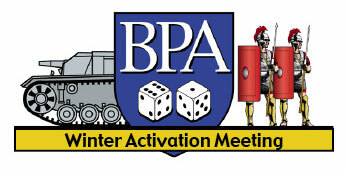 Players were allowed to select either Barbarossa to Berlin (BTB) or Pursuit of Glory (PUG) as alternate games to POG with the default being POG. We had one BTB and one PUG game played. The POG games were very equally split between AP/CP wins. The most notable POG win was Doug Austin as the AP player putting the entire CP force out of supply in an early round!!! This caused attrition for every CP unit on the board, a first for WAM play. The Semi-finals saw Byrd and Charlie Hickok playing and Drueding and Ken Gutermuth paired against one another. Ken's stated goal was to last the entire game!! As mentioned above we had a repeat of last year's Final with Tom and Chris. Tom won the AP with a bid of 3. These two pachyderms went at it Saturday evening. By Turn 5 it was looking bleak for Chris. By Turn 10 he realized that his CP forces were in an untenable position and, being the sportsman that he is, conceded. This allowed them to test drive PUG. I did not get any feedback on their experience. Even given the reduced number of players we all still had a good time and some BBQ!! Looking forward to next year. The "sharks were well represented among the 89-player turnout with most of the top rated players cruising through the initial rounds of what would be a 196-game, three-year marathon. An interesting addition from past tourney's was a 6-member "Italian" contingent who all did quite well with three of the six making it to the 4th round (at which point the field had been reduced to nine players). A new innovation this time permitted all players to continue to the second round in either the lower or upper division. Thus, regardless of how poor one's record was in the first round, these players could continue without any detriment in the lower division (although some chose not to). Cinsequently, we still had 74 playing in Round 2. Three of the lower division advanced to Round 3 together with 18 from the higher echelon. 2) Use optional trench rolls and the 8 card hand. 4) Move VP spaces from Turkey (2 - Jerusalem and Kharput) to Koblenz and Aachen and move VP spaces from Ahwaz and Venice to BL and Sedan. 5) CP will get one RP per turn if during TW (starting the turn it draws its TW cards) so long as it has at least three French Belgian spaces including (the three spaces must include Sedan) during the turn interphase. To enter, contact preese4@cox.net before August, 2009.